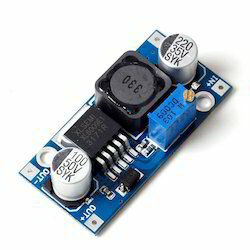 This is an LM2596 DC-DC buck converter step-down power module with high-precision potentiometer, capable of driving a load up to 3A with high efficiency, which can work with Freeduino UNO, other mainboards and basic modules. When the output current keeps greater than 2.5A (or output power greater than 10W), please add a heat sink on it. The XL6009 regulator is a wide input range,current mode, DC/DC converter which is capable of generating either positive or negative output voltages. 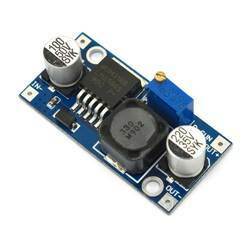 It can be configured as either a boost, flyback, SEPIC or inverting converter. The XL6009 built in N-channel power MOSFET and fixed frequency oscillator, current-mode architecture results in stable operation over a wide range of supply and output voltages.The XL6009 regulator is special design for portable electronic equipment applications. Need a boost? 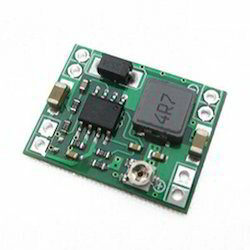 Using the XL6009 switching boost regulator IC this module can take an input voltage of between 5 and 32V DC and convert it to between 4 and 38V DC. When using these modules remember that the output current will be a lot less than the input current, (remember - W = VA). For example, if you have a 10V output at 1A from a 5V input, the input current will be around 3.6A. 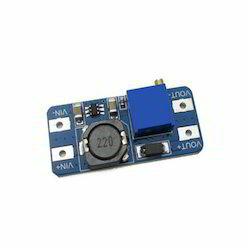 The real-life maximum amount of power you can get out of these things is around 10W. .
To be honest these modules should be used when you don't have any other option, or if you only need a higher voltage at a low current. Otherwise it would be prudent to re-consider the power needs of your project. low ripple and excellent line and load regulation. The DC/DC buck module has applications where the input voltage is higher than the output voltage , such as battery, power transformer, DIY adjustable regulated power supply, LCD Monitor and LCD TV portable instrument power supplytelecom/networking equipment,24V vehicle notebook power supply,industrial equipment buck. 12V buck to 3.3V, 12V buck to 5V, 24V buck to 5V,24V buck to 12V, 36V buck to 24V etc. Input reverse polarity protection: None (if required,you can attach high current diode in series with the input). 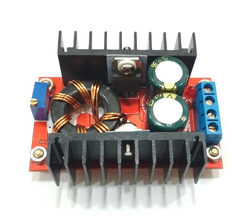 The DC/DC buck module has applications where the input voltage is higher than the output voltage , such as battery, power transformer, DIY adjustable regulated power supply, LCD Monitor and LCD TVportable instrument power supply telecom/networking equipment,24V vehicle notebook power supply,industrial equipment buck. 12V buck to 3.3V, 12V buck to 5V, 24V buck to 5V,24V buck to 12V, 36V buck to 24V etc. 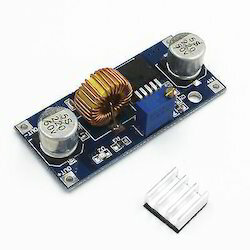 This module has adjustable output Voltage and Current. (3) Use a multimeter to measure the output short-circuit current, while regulating the “current potentiometer” so that the output current reaches a predetermined Charging current value. 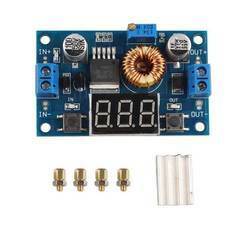 (2) Use a multimeter to measure the output short-circuit current, while regulating the “current potentiometer” so that the output current reaches a predetermined LED operating current. 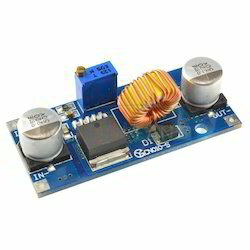 The DC-DC Adjustable Step Down Converter Module has large power, high efficiency, low-ripple. With power indicator, on-board voltmeter. 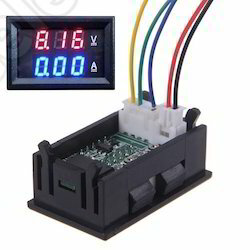 The voltmeter can calibrate automatically. The measure can be changed between input and output voltage, with indicator. The voltmeter can also be shutdown. The board uses connection terminal for easy wiring. 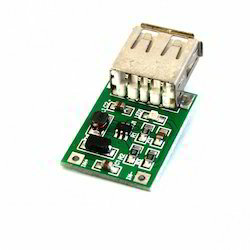 Looking for DC - DC Convertor Module ?